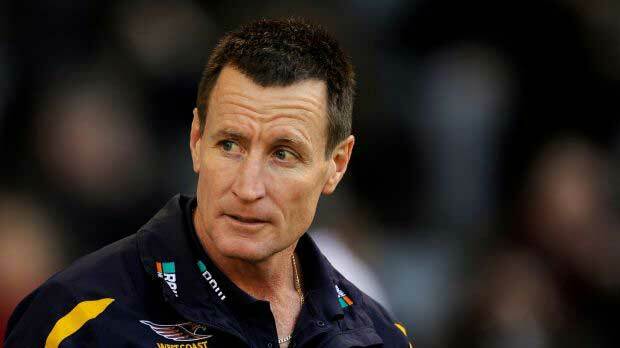 One win does not an AFL coach make, except if your name is John Worsfold. Worsfold struck while the iron was hot by extending his contract to guide the Essendon Bombers for another two years not long after the Dons beat the Adelaide Crows 99 - 87 at Etihad Stadium. Surely, the Bombers' brains must have known that the Crows cannot win in Melbourne. There has even been idle speculation that MCG stands for Melbourne Crows Graveyard. Actually, it had been expected that Worsfold would get the extension and he may be entirely deserving, as he had to do the best he could in 2016, when the Bombers paid the price for the 2012 doping saga that left them scouring the streets and pubs for players to top up their list. He played a key role in resurrecting the Bombers to the extent that they played finals last year and beating the Crows' scoring machine first up this season, and holding them well under 100 only served to burnish his reputation. The club might take a year back from the new deal if the Dons were to somehow lose to the Fremantle Dockers in Round 2. Perhaps they might be overawed by the opulence of Optus Stadium in Western Australia. Meanwhile, Adelaide is a big favourite to extract revenge when they meet the Richmond Tigers in a rematch of last year's Grand Final. The difference? This game will be at Adelaide Oval, so the Tigers will not have 100,000 supporters as they did for the Grand Final. What the Tigers will have is last year's Brownlow Medal winner, Dusty Dustin Martin, while the Crows will be without Matt Crouch, their best and fairest for 2017. The Crows will also be missing a host of others, almost half a side, including Sam Gibson, Curtly Hampton Alex Keath and Riley Knight. Richmond is relatively intact, with all the players who had physical issues being listed as available, including Trent Cotchin, Bachar Houle and Dion Prestia. They will be without Nathan Broad, who is serving a club suspension and will not be back until Round 4. Some of the bookies have installed the Crows as 9.5-point favourites. Both sides are reasonably healthy. Port Adelaide will be without a couple of players, Paddy Ryder and Jasper Pittard. Sydney has just six in its casualty ward, with Alex Johnson looking to miss a week or two and Sam Naismith out for the season. The rest of the Round 2 fixture looks pretty blasé, with the possible exception of the Geelong Cats v the Hawthorn Hawks, both of which won first up. Geelong has been competitive the past couple of years and may have an emotional boost from the return of Gary Ablett. Whether that is enough to push them to the top this year will require more games. The Hawks beat the Collingwood Magpies in Round 1, so the game with Geelong at MCG is their first true test of the 2018 AFL season.